Scroll Saw Cut Dovetails. Video Tutorial. The Easy Way. The joint in this animated graphic was cut on my Jet scroll saw. This was the fit right off the saw. No additional tweaking to the joint was done. This fit was accomplished on my second practice piece. If you have modest skills with the scroll saw you can easily make this joint with the following technique. The dovetail joint has become synonymous with high quality craftsmanship when used in a woodworking project. Not only is the joint strong it has a nice decorative appeal. The joint has been traditionally cut by hand until recent years when mechanical tools were designed to take out the long practiced joint. Many woodworkers who still prefer hand tools take great pride in their skill with hand cut dovetails. As scroll sawyers we too can make these joints right on the scroll saw. The technique in the following video demonstrates what I believe is the easiest method of cutting a dovetail on a scroll saw. It requires no tricks and only a sharp pencil and square. 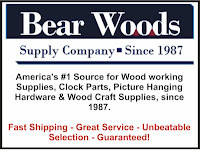 Make sure you have your entry in for this months Bear Woods $75 gift certificate giveaway. There are only a few days left to enter. don't get left out. 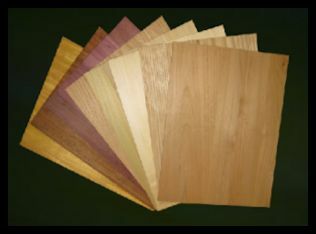 Check out my video review of Heritage Wood Specialties. Want to give traditional hand cut dovetails a chance. Check out this high rated saw on Amazon.